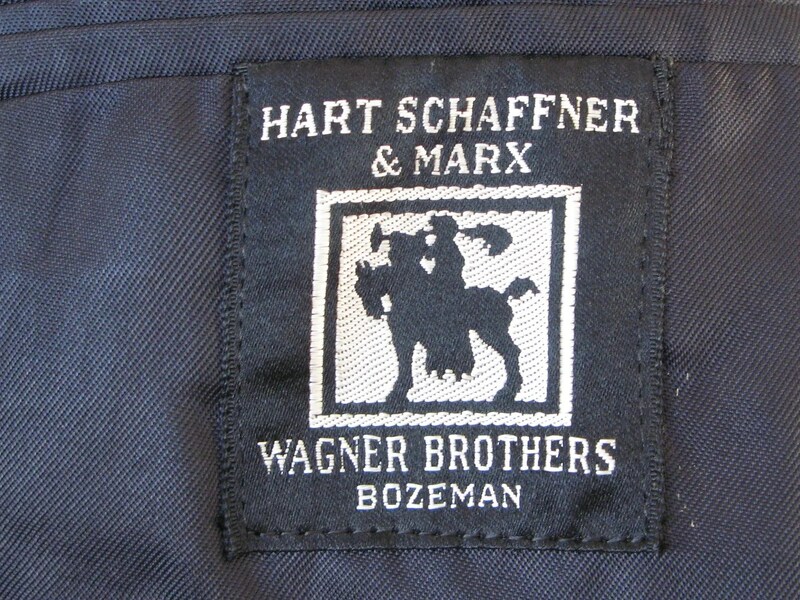 This vintage overcoat was made between 1936 and 1938 by Hart Schaffner & Marx and was sold in Bozeman, Montana by Wagner Brothers. It is an extremely rare cut, single breasted, with a belted back. Usually on overcoats these belt-back treatments were reserved for double breasted models. The coat is gray with a subtle plaid. It is half-lined, as was common in the era. 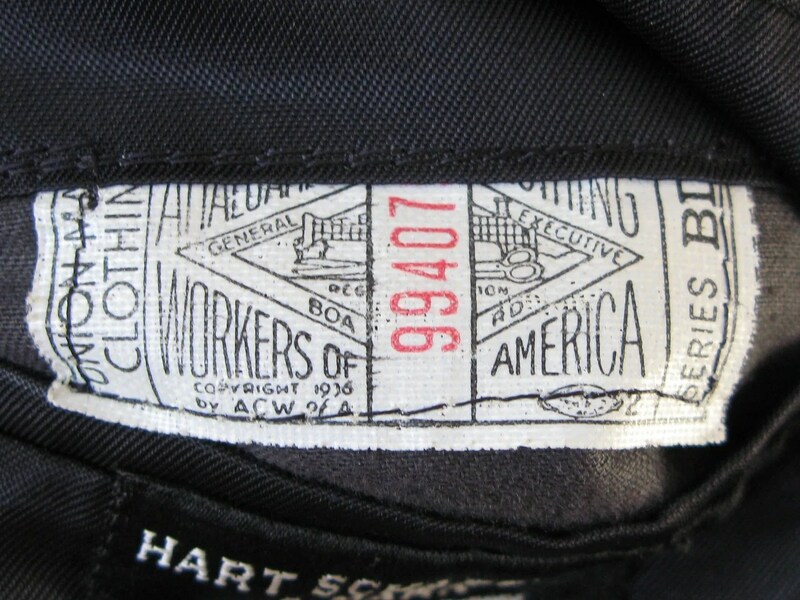 The Amalgamated Clothing Workers of America union tag is a rare 1936 variant, which narrows the dating down hugely, as it was replaced by a new tag design in 1939. This entry was posted in Coats and tagged 1930s, belt back, clothing, coat, fashion, halfbelt, Hart Schaffner & Marx, mens, overcoat, style by Spencer Stewart. Bookmark the permalink.